R Rangarajan of MNM addressing questions raised by the audience. 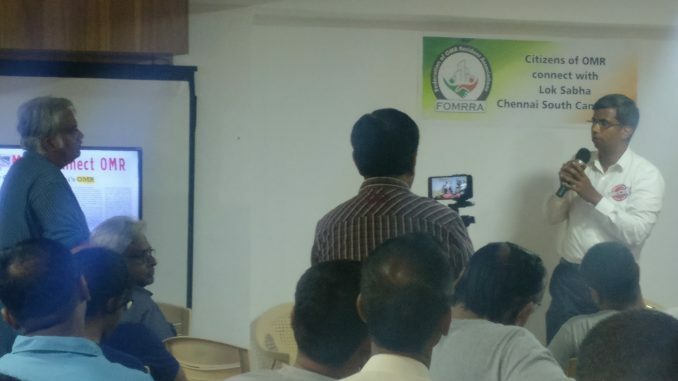 The representatives of Federation of OMR Residents Associations (FOMRRA) came together on the afternoon of April 14th to listen to some of the candidates contesting for the Lok Sabha elections from Chennai South constituency. FOMRRA represents nearly three lakh households in gated communities, independent houses and small apartments. The candidates had been sent a set of key questions regarding water supply, sewage network and traffic management which have posed and continue to pose many challenges for the residents over the years. First to speak was Thamizhachi Thangapandian from the DMK. She acknowledged the questions sent to her but added that most of the issues raised were local body issues that would not come under her purview as an MP. “Sadly the local body elections have not been conducted for 3 years so I’ve seen a neglect in the area. As an MP candidate I can’t evade subjects even if they are not within my mandate, and I will try my best to engage with the subjects”, she added. To address the issue of acute water shortage, she said that the setting up of a third desalination plant would be the ideal solution. On the plans for spending MPLADS funds she stated that solving the issue of the Perungudi dumpyard and Pallikaranai marshland will be a priority. She mooted multi level car parks for easing congestion and parking woes in the area. She proposed to set up counseling centers for women in need. Having been in the field of education and theatre, she said that she also wants to promote Tamil Theatre by creating a space for the same. The sitting MP J Jayavardhan was up next. 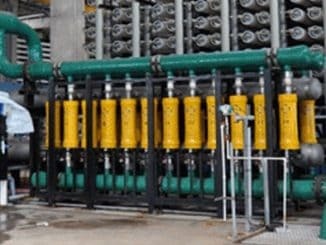 He spoke of getting the third desalination plant operational in the next two years to augment the 100 MLD water currently being supplied from Nemmeli. He added that for the desilting of all water bodies, funds to the tune of Rs 1200 crores have been allocated from the central government’s Smart City mission with work underway in various parts of the constituency in partnership with local communities and NGOs. Since OMR is home to many companies, he proposed that their Corporate Social Responsibility funds be converted into a corpus vested with the district collector, who would allocate these resources for various projects. 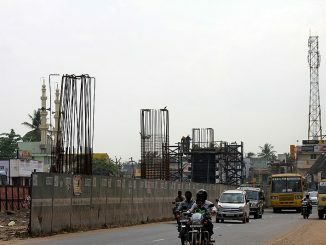 He said that on completion of the construction of a road overbridge from Madhya Kailash to Siruseri and the phase 2 of the metro, the area will get significantly decongested. 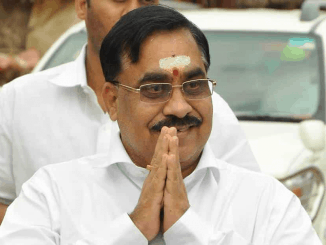 Makkal Needhi Maiam candidate R Rangarajan, a former IAS officer addressed the audience next. He batted for decentralized decision making by local urban bodies. He spoke of the need to create ward committees by following the gram sabha models. The committees will help residents voice their issues. On water shortage, he differed sharply from the other candidates. He said scientists believe that desalination plants are a threat to the coastal marine ecosystem. Restoration of marshes and lakes is the only way forward to solve the water shortage faced by the city. On waste management, he said new approaches like Bloom energy could use garbage from big companies to generate power in house, a big saving to companies and environment. On his ability to accomplish promises he said that since his party had people from administrative and scientific backgrounds, they could easily coordinate with bureaucracy to effectively implement schemes. The main plank of his party was anti-corruption. The emphasis was on transparency and integrity. An independent candidate M Radha, a transwoman, is also pitted against the heavyweights this election. She holds a Master’s degree in literature. She promised to be the voice of the residents and join them in any protest for essential services. She said that she took up the challenge as a way to spread awareness among the people of the issues faced by the transgender community and also to prove her capability as a leader. She spoke of her struggle due to discrimination and added that these experiences made her a good candidate as she would be able to relate to the issues faced by the people. In the fight against corruption is Dr A Naresh of the TN Ilangyar Katchi who said they had no leader and a flat hierarchy. They took decisions by consensus. They have done social work by desilting water bodies and helping destitutes. The interaction ended after a session by Prashant Goutham of Arappor Iyakkam on the roles and responsibilities of an MP and the factors citizens must keep in mind to make an informed decision.